[Free Pattern] This Pentagonal Penrose Throw Blanket Is Spectacular! This fast crochet scarf free pattern is simple, beginner-friendly and works up fast. 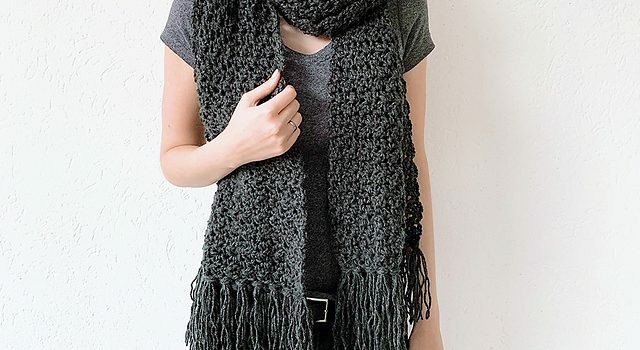 Awesome Andrea Scarf by Wilma Westenberg features two basic crochet stitches: double crochet and single crochet which makes it a super crochet project that’s perfect for beginners who want to learn a basic crochet stitch. You can add fringes to this lovely scarf for a charming finishing touch. The length of your scarf is easy to alter based on the number of rows that you crochet. You can make it smaller and shorter for a child’s size by simply making fewer rows. Get the pattern: Fast And Super Simple Crochet Scarf Free Pattern.